Six thieves stole multiple devices from an Apple store in Santa Rosa Sunday evening, as indicated by the police. 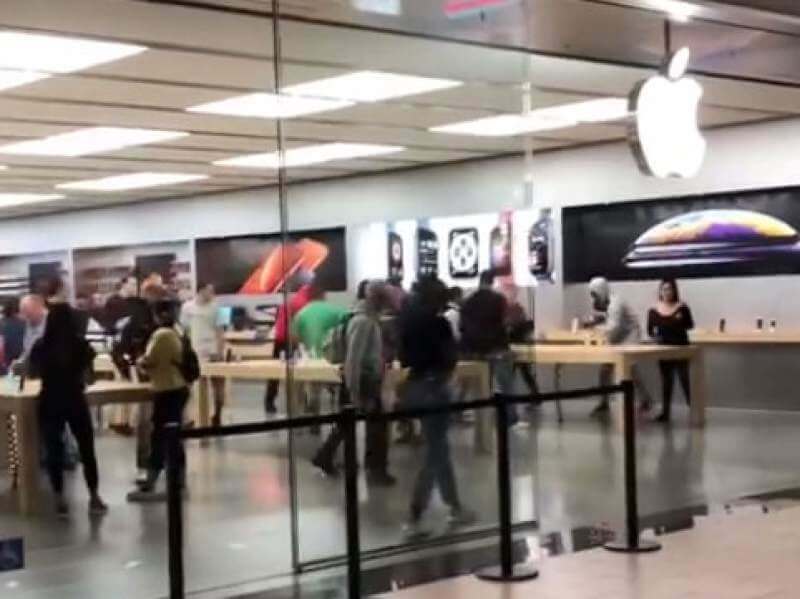 A video of the incident posted via social media demonstrates six obvious thieves as they raced into the bustling shop in Santa Rosa, California, and snatched things from tables showing Macbooks, iPhones and Apple Watches. Be that as it may, this time, an observer recorded both the theft itself and one of the suspects being wrestled to the ground by security gatekeepers and regular citizens. Video film caught the thieves quickly swipe things from show tables before run out of the front entryway. Authorities are amidst leading an examination. Anybody with information, recordings or photos is requested to call 707-543-3575.